Canine DNA testing can help you to truly understand your pet. 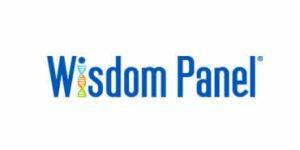 Our EasyDNA Animal VS Wisdom Panel comparative overview will show you just how much you need to know in order to provide the best care possible for your canine family member. For example, if you have a mixed breed dog, you'll need a company with more detailed race examination. Accurately determined race dictates appropriate nutrition and exercise regimens. It also helps anticipate your dog's natural behavior and so on. That's why consulting our EasyDNA Animal VS Wisdom Panel comparison should be your first step in determining what dog DNA test you need to get to know your pet better. EasyDNA Animalis a famous DNA testing provider that offers a plethora of dog DNA testing solutions, as well as options for other animals. It has its own lab and features a team of highly skilled experts.